ADMISSION: Admission to the Museum is $10 for adults and $7 for children, students and senior citizens. Admission is always free for Museum members. For more information, call (973) 971-3700, or visit www.morrismuseum.org. McLellan spent countless hours disassembling objects of all sizes and functions—from a watch to a laptop and a Walkman to an upright piano—with painstaking precision into hundreds or even thousands of pieces. With each object fully stripped to its bare parts, he methodically worked backwards, laying out each item in reverse order from the protective case to the smallest circuits until the true scope of each design was captured. The resulting images, grouped alongside other items built for similar purposes, provide a visual history lesson of mechanical innovation and highlight the contrast between old-world craftsmanship and sleek modern engineering. Technological advances have increased with exponential speed since the second half of the 20th century. Consumers have demanded that their gadgets be increasingly capable and reliable while also being sleeker and more portable. The resulting devices are smaller and more complex than ever before while having the life cycle of a fruit fly. Younger visitors to the exhibition will also have the opportunity to become part of the experience through the Smithsonian’s Lemelson Center’s Spark!Lab activities. These collaborative, hands-on challenges offer hypothetical situations that allow critical thinking and team creativity to flourish and provide fun skill building in STEM (science, technology, engineering and math). The Spark!Lab activity kits are provided through a grant from the Smithsonian Women’s Committee. Soundscapes (Saturday, November 10, 11:00AM and 1:00PM): Visitors design and assemble wooden blocks, noise-making elements, and marbles to create sound pathways and music. They explore different configurations and try marbles of different sizes and materials to produce the sounds they're looking for. SITES has been sharing the wealth of Smithsonian collections and research programs with millions of people outside Washington, D.C., for 65 years. SITES connects Americans to their shared cultural heritage through a wide range of exhibitions about art, science and history, which are shown wherever people live, work and play. Exhibition descriptions and tour schedules are available at www.sites.si.edu. McLellan is a photographer who specializes in conceptual work. He nurtured his love for conceptual photography at the Alberta College of Art and Design, where he received his Bachelor of Fine Arts in 2002. He released the book Things Come Apart in 2013 and continues to make inspired visuals in his Toronto studio and on location which can be seen at http://www.toddmclellan.com/. The Museum is located at 6 Normandy Heights Road (at the corner of Columbia Turnpike) in Morristown, NJ, and is open Tuesday, Wednesday, Thursday, Friday and Saturday, 11:00am to 5:00pm and Sunday, 12:00 to 5:00pm. In addition, the Museum is open evenings from 5:00 to 8:00pm on the second and third Thursday of the month. WHEN: September 7, 15, 21, 22, 28 & 29 at 8pm and September 8, 9, 16, & 23 at 2 pm. WHERE: The Barn Theatre is located on Skyline Drive in Montville, NJ, just minutes off Exit 47 from Route 287. Set in a single dining room, six actors perform 18 overlapping scenes from different households. Each scene focuses around a different family during different time periods. At its heart, it tells the story of the dying culture of upper-middle class Americans who over time have focused less on tradition and more on family progress. The cast of The Dining Room features Dale Monroe Jr, Bridget Burke Weiss, Patrick McAndrew, Natalie LaSpisa, Roxanne Wagner & Craig Zimmerman all as Ensemble. 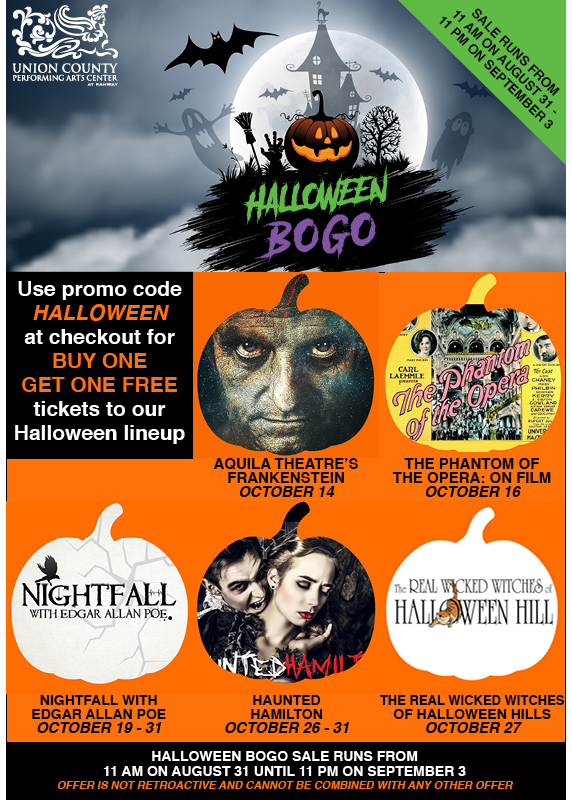 Offer not valid on previously purchased tickets or with any other offer. Valid August 28-31 only. Expires 11:59pm on August 30. WHEN: September 6-23. Thursdays and Fridays at 8:00 pm, Saturdays at 3:00 pm and 8:00 pm, and Sundays at 3:00 pm. TICKETS: $30 standard, $20 for senior citizens and Kean alumni and staff, and $15 for students and patrons with disabilities. Significant discounts for groups of 8 or more apply. Tickets are also available for Premiere Stages’ exclusive Brick City Opening Night Party on Friday, September 7. This event features a pre-show party with wine, hors d’oeuvres, live music and breathtaking views of the New York City skyline in Kean’s North Avenue Academic Building event space, reserved seating for the performance and a post-show champagne toast and dessert reception with the cast. Tickets for this exclusive event are $65, and may be purchased by calling 908-737-7469 or emailing ticket@kean.edu. Originally commissioned over a two-year cycle through the NJPAC Stage Exchange and now receiving its first professional production, Brick City features Rafael Benoit, Jacqueline Correa, Madison Ferris and Chris Grant. Jessi D. Hill, who helmed this season’s workshop of Deneen Reynold-Knott’s Baton, directs. Please contact info@LONJ.org to register for one of the above dates, and include your head-shot, resume and home town. Openings are still available for trebles (boys only) for the role of Amahl in Amahl and the Night Visitors! Those auditioning don't have to prepare something from this opera. Any classical repertoire that shows clarity of voice and higher range (Amahl has sustained A's) will do. We will teach them a short section from the opera to sing as well. September 7th is also for Dancers who sing for "Shepherds Dance" in Amahl and the Night Visitors. Both male and female dancers ages 13-25 are preferred. Seeking mostly male singers at this point. All positions paid. Favorable consideration will be made to New Jersey residents and those with adequate transportation. Trevor Noah, the host of Comedy Central's Emmy-winning Daily Show, returns by popular demand with an evening of hilarious stand-up! Trevor Noah was already the most successful comedian in Africa when he was introduced to U.S. audiences in 2014, as the successor to host Jon Stewart on Comedy Central's Daily Show. Since then, Noah has become one of the world’s brightest comic masterminds, thanks in part to his Comedy Central special,Trevor Noah: Lost in Translation. In that show as well as his current material, Noah brings a unique global perspective to American culture and politics, with results that are as thoughtful as they are riotously funny. WHEN: On view at the Zimmerli from September 1 to December 30, 2018. The Zimmerli Art Museum is open Tuesday through Friday, 10 a.m. to 4:30 p.m., Saturday and Sunday, noon to 5 p.m., and select first Tuesdays of the month, 10 a.m. to 9 p.m. The museum is closed Mondays and major holidays. 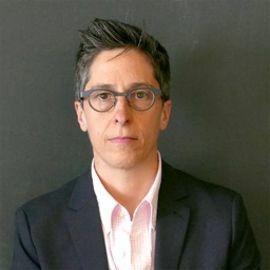 Bechdel will speak at Rutgers on October 10. WHERE: Zimmerli Art Museum, 71 Hamilton Street (at George Street) on the College Avenue Campus of Rutgers University in New Brunswick. The Zimmerli is a short walk from the NJ Transit train station in New Brunswick, midway between New York City and Philadelphia. The exhibit, which encompasses the decades-long career of the illustrious cartoonist and graphic memoirist, explores Bechdel’s work as a writer, an artist, and an archivist of the self, someone who constantly mines and shares her own experiences as a way to communicate something vitally human: the quest for love, acceptance, community, and social justice. Alison Bechdel lives in Vermont. She serves as the James Marsh Professor-At-Large at the University of Vermont and was awarded a MacArthur Foundation Fellowship (aka, “genius grant”) in 2014. Vermont’s alternative paper Seven Days, which ran Dykes to Watch Out For, also published new strips by Bechdel that have focused on current political events. In 2017, Bechdel was named the third Cartoonist Laureate of Vermont—a position unique to the state—and portrayed herself in an episode of The Simpsons. Self-Confessed! The Inappropriately Intimate Comics of Alison Bechdel is organized by the Fleming Museum of Art, University of Vermont, Burlington, Vermont. The presentation at the Zimmerli is organized by Donna Gustafson, Curator of American Art and Mellon Director for Academic Programs. WHEN: August 29-September 21. * An Artists’ Talk will be held Friday, September 7, from 5-6 p.m. A reception will follow from 6-7 p.m. Both are free of charge and open to the public. Refreshments will be served. WHERE: Art Gallery at the College’s Branchburg campus, 118 Lamington Road in Branchburg, NJ. The exhibition will feature work by RVCC art faculty members representing a wide range of media, including drawing, painting, sculpture, ceramics, printmaking, video, graphic design, digital media, interior design and photography. *Gallery hours for the exhibition are Mondays, 3-8 p.m.; Tuesdays, 10 a.m.-3 p.m.; Wednesdays, 3-8 p.m.; Thursdays, 10 a.m.-6 p.m.; and Fridays, 1-4 p.m.
For further information, contact the Visual and Performing Arts Department, 908-218-8876. WHERE: Taub Auditorium of the Kaplen JCC on the Palisades, 411 East Clinton Ave., Tenafly, NJ. For more information or to schedule an appointment, call or (201) 265-1212 or 1-800-PIANO-55. Upright, Grand and Digital Pianos at greatly reduced prices! The sale will feature a wide selection of new and pre–owned acoustic and digital pianos by famous manufacturers including Kawai, Bosendorfer, Schimmel, Baldwin, Steinway, Knabe, Yamaha, Roland and many more, ranging in size from uprights to grand pianos at greatly reduced prices. Forte Piano was founded in 1995 with a mission to help musicians and music lovers to realize their goals and find the right instrument for their family. Forte Piano is one of the largest single piano stores in the country, featuring the best piano brands in every quality and price category. Vocalists—16 years old or older, and who are not presently signed to a major record label—can enter by submitting recordings of at least three songs at at saarahvaughancompetition.com. The public can vote for their favorites; songs have been played, commented on, and voted for, hundreds of thousands of times over the course of the competition's existence. The judges are looking for vocal quality, musicality, technique, performance, individuality, artistic interpretation—and the ability to swing. The grand prize winner of the coveted SASSY Award will receive a $5,000 cash prize. For the seventh consecutive year, singers from around the world will gather online to compete in the Sarah Vaughan International Jazz Vocal Competition (aka the "SASSY" Awards) -- a 21st century version of the amateur night at the Apollo Theater that helped launch the career of a gifted teenager from Newark, Sarah "Sassy" Vaughan, more than 75 years ago. The deadline to enter this year's competition is Wednesday, September 5 at 5pm. "Sarah Vaughan's artistry is timeless and irreplaceable. The great joy of this jazz vocal competition is discovering the extraordinary voices who will carry her legacy forward," said John Schreiber, NJPAC's President and CEO. "We're thrilled that every season hundreds of singers from around the world, each in their unique way, advance the future of the music by entering this competition," he added. "We couldn't be happier that Sarah Vaughan continues to inspire musicians and music lovers via the SASSY Awards." The 2018 Sarah Vaughan International Jazz Vocal Competition finals will take place on Sunday, November 18 at 3pm in NJPAC's intimate Victoria Theater. Tickets on sale now at njpac.org, or 1.888.GO.NJPAC (1.888.466.5722). 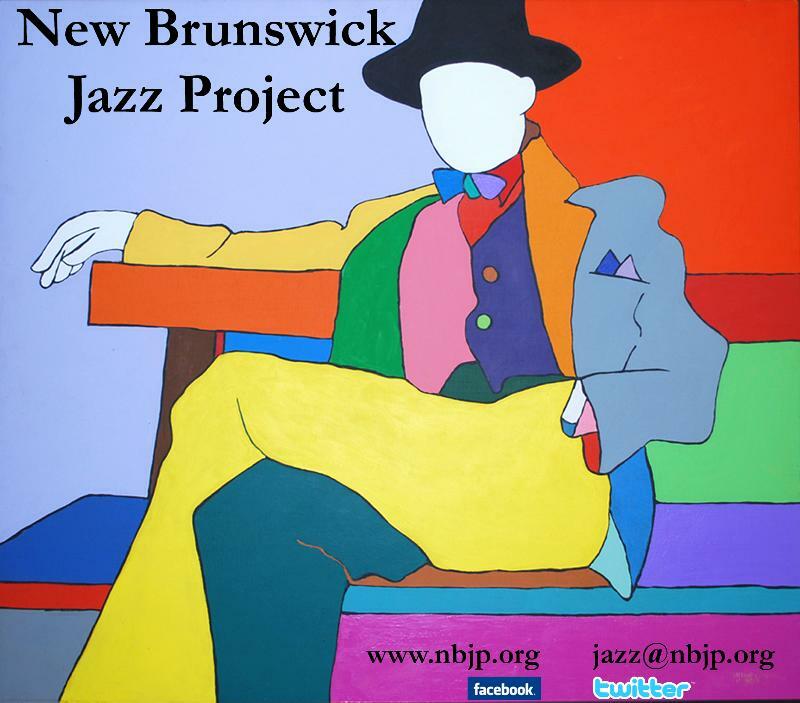 The TD James Moody Jazz Festival, co-produced by NJPAC and WBGO Jazz 88.3FM and sponsored by TD Bank, was inaugurated in 2012 and named in recognition of the jazz saxophone virtuoso from Newark. TD Bank is excited to sponsor the TD James Moody Jazz Festival, where families can enjoy extraordinary, live musical performances while also experiencing the TD Bank brand. At TD, we believe that investing in and enriching our communities is both a privilege and a responsibility. NJPAC's annual celebration of "America's classical music" is a spree of more than two dozen concerts and related activities - over half of which are free to the community. Guided by Christian McBride, NJPAC's Jazz Advisor, the festival has presented artists such as The Manhattan Transfer, David Sanborn, Tony Bennett, Wynton Marsalis, Al Jarreau, Dianne Reeves, Sérgio Mendes, Bill Charlap, Esperanza Spalding, Fantasia, Chris Botti, Pat Metheny, and the Keith Jarrett/Gary Peacock/Jack DeJohnette trio, among many others. 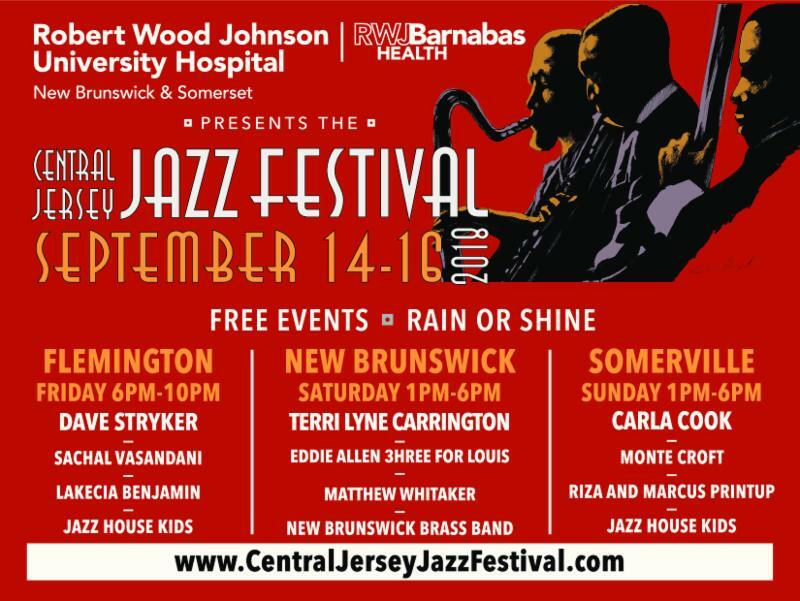 The TD James Moody Jazz Festival is intrinsic to Newark, a city renowned as the home and creative inspiration for jazz geniuses including Sarah Vaughan, Wayne Shorter and pianist Willie "The Lion" Smith, and institutions such as Savoy Records, the Rutgers-Newark Institute of Jazz Studies and WBGO Jazz 88.3FM. 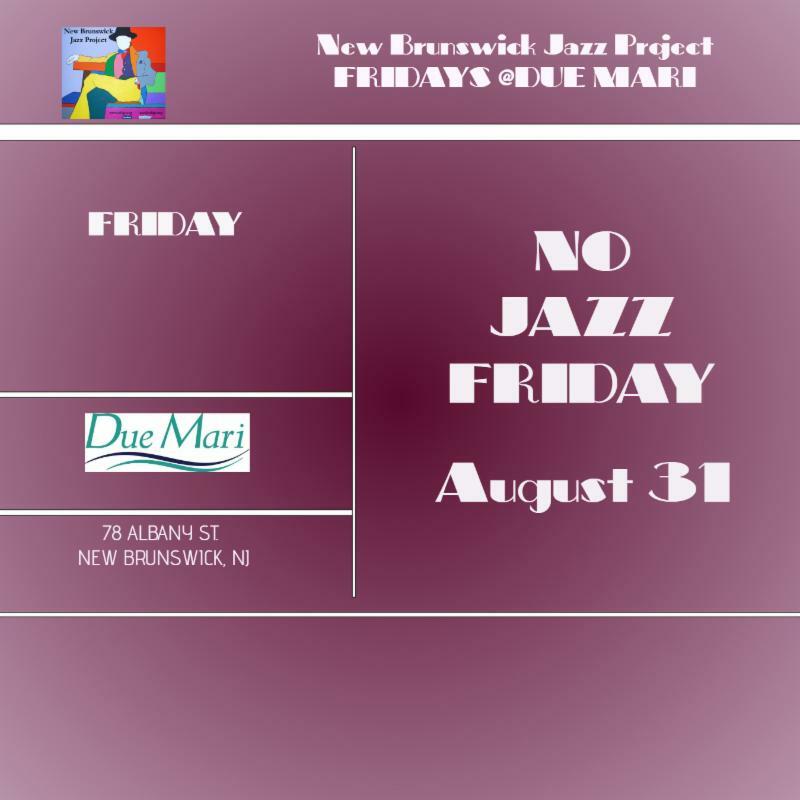 Among the festival's unique events are One on One with Christian McBride, a concert-and-conversation series featuring jazz's top talents; Dorthaan's Place Sunday jazz brunches at the Arts Center's NICO Kitchen + Bar; and a schedule of concerts and special attractions held off-campus throughout Newark. 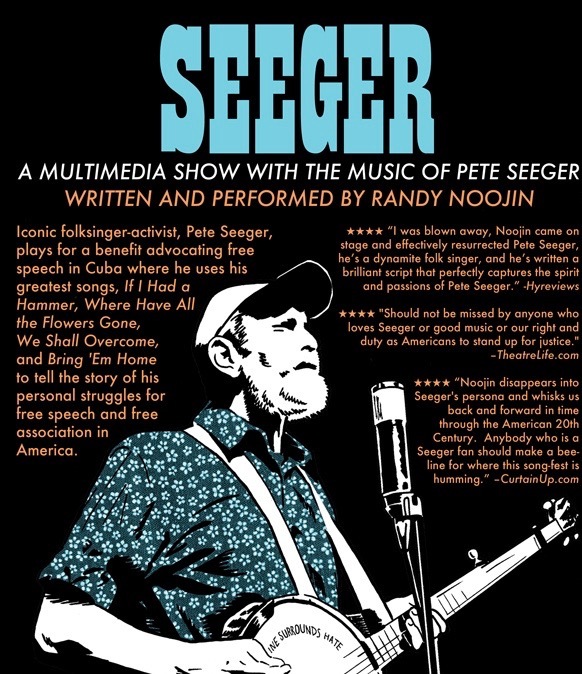 Hudson Theatre Works presents Seeger, a critically-acclaimed multimedia solo show, about America's beloved folksinger, Pete Seeger. Spend an evening with Pete as he plays a benefit concert. Where he uses a dozen of his signature songs, including "If I Had a Hammer," "Where Have All the Flowers Gone?," "Turn! Turn! Turn!," We Shall Overcome" and "Guantanamera" to tell the story of his awakening as an activist, and his struggles with the blacklist during the McCarthy-era. 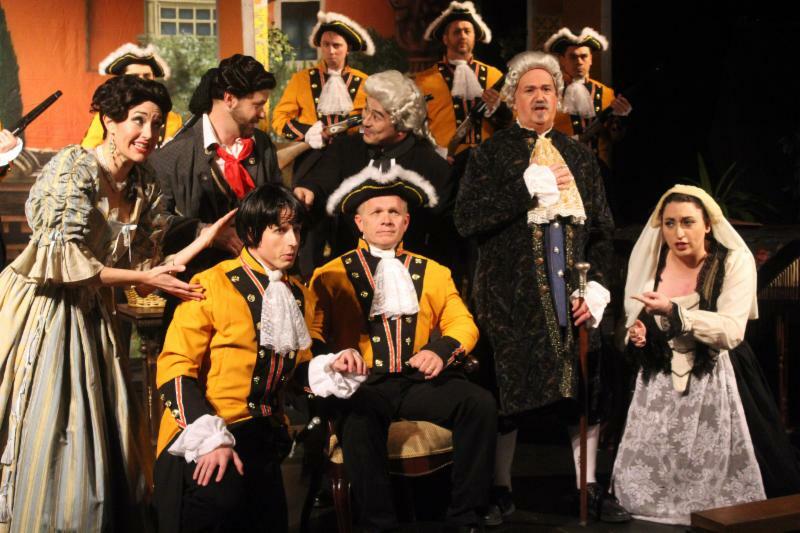 Your ticket helps Hudson Theatre Works continue it's commitment to low-price tickets. Which make it possible for everyone to experience first-rate live performance on a regular basis. Our Affordable Ticket Initiative has helped us to share work we believe in with a growing, engaged community. We are dedicating our 2018-2019 Season to the memory of our dear sister and company member Heather Sabella. TICKETS: $25 for adults and $20 for students and seniors (discounts available for groups of 20 or more that prepay.) Opening night tickets are buy 1, get one 1 free. Tickets for The Guys are available at a benefit price of $20. Magic Trunk tickets are $10. Tickets can be purchased online at studioplayhouse.org/tickets or by calling 973-744-9752. 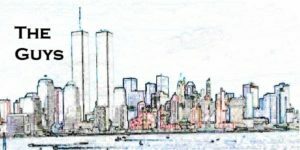 Montclair Studio Players will host a fundraising benefit staged reading of the September 11th elegy The Guys by Anne Nelson, featuring Robert Barwick (of Wayne) and Claudia Budris (of West Caldwell), directed by Bill O’Brien (of Verona). Proceeds go to support the 9/11 Fund and Studio Players, who themselves are recovering from major flood damage to their theatrical warehouse and who are very grateful for the continued donations and volunteerism from Montclair and the surrounding communities. The official Mainstage season commences this fall with a return to musicals as it mounts Into the Woods, directed by Ben Liebert (Broadway: Wicked, Boq; NYC: Fiddler Afn Dakh, Motel) (of Verona) November 2nd through 17th. With a 10-member redux gender non-traditional cast, Liebert tackles the Stephen Sondheim and James Lapine classic, set in a soon-to-be shuttered children’s library, exploring the musical’s themes of childhood, nostalgia, and the formative stories that inform them. Following on, Amy Fox (of Verona) will direct the gritty relationship drama Some Girl(s) by Neil LaBute, January 18 through February 2nd, 2019 and Alex Olexsij (of Nutley) mounts Garson Kanin’s golden-age comedy Born Yesterday from March 29th to April 13th, 2019. 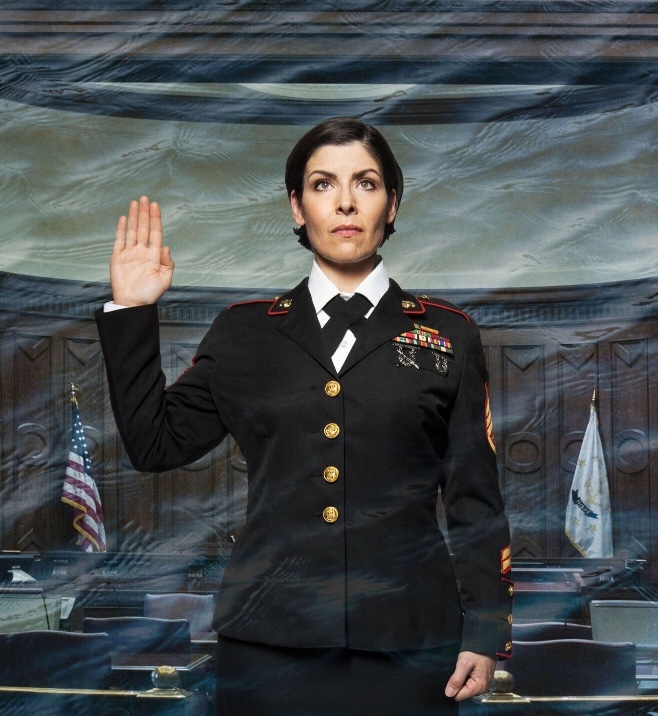 Closing the season in June from the 14th to the 29th, Studio Players will salute Pride Month and the 50th Anniversary of the 1969 Stonewall riots, as E. Dale Smith-Gallo (of Montclair) directs a landmark play from the LGBT cannon (to be announced). 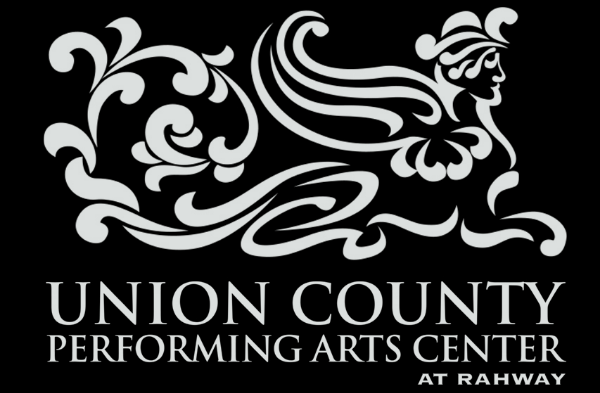 Rapunzel adapted by Karen Boettcher-Tate and directed by Beatriz Esteban-Messina (of Union City) (May 11th to 19th, 2019). To purchase tickets visit https://morrismuseum.org/spoken-word/ or call the Box Office at 973.971.3706. To become a Member, and receive the discounted ticket pricing, and visit the museum year-round for free visit morrismuseum.org/museum-membership, email membership@morrismuseum.org, or call 973.971.3721. The Morris Museum launches an innovative, new programming option this season at the Bickford Theatre, a speaker series featuring engaging humanities scholars and authors who will present thought-provoking talks on topics about which they are both passionate and knowledgeable. Lively discussions will follow each SmartTalk. “We’ve known that there’s tremendous enthusiasm and interest in a speaker series in the community and we’re pleased to broaden the Bickford Theatre’s programming to provide another way to enhance the experience of our visitors,” states Marsha Baldinger, member of the Board of Trustees of the Morris Museum and chair of the Bickford Theatre committee. Through a look at the writings of scientists and philosophers as well as the exploration of some case law, explore the arguments and viewpoints regarding the rights (or lack thereof) of animals. Sometimes called “America’s Classical Music,” the tradition and history of jazz embodies the essence of freedom and democracy. From its origins within the slaves songs, to the advent of the blues, Dixieland, Swing, Bebop, and other styles, jazz exhibits how each individual (through his/her independence) must function within the framework of a group to better serve the entire community. Through music and discussion, this SmartTalk explores jazz and why it matters. Speaker: Michael Conklin, Jazz Historian, presently pursuing his Doctor of Arts and Letters degree from Drew University. Since itsformal introduction by the ancient Greeks, comedy has been and continues to be more than just laughs. It can be explored from a philosophical perspective and shed light on this aspect of the human condition. The full series begins in spring 2019 with diverse weekly SmartTalks on Thursday afternoons at 1:00PM. BURIED CHILD Tickets Are On Sale Now - A Special Deal For You! *Offer expires September 7. Cannot be used on prior purchases or combined with another offer. Other restrictions may apply; please call the Box Office for more information. Part of NBJP's mission is to showcase the next generation of jazz musicians ... the future "greats!" This is a chance to see them NOW! 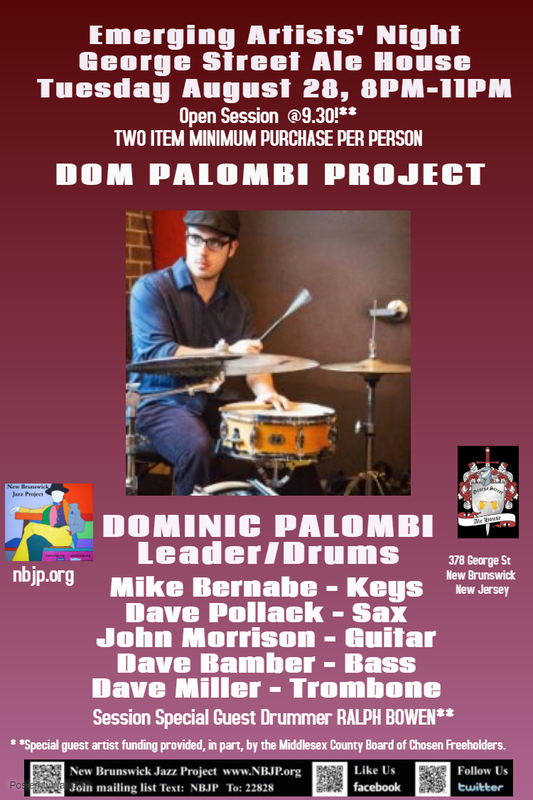 Drummer Dom Palombo leads the band the session. Our Session Special Guest Artist* is drummer Ralph Bowen. 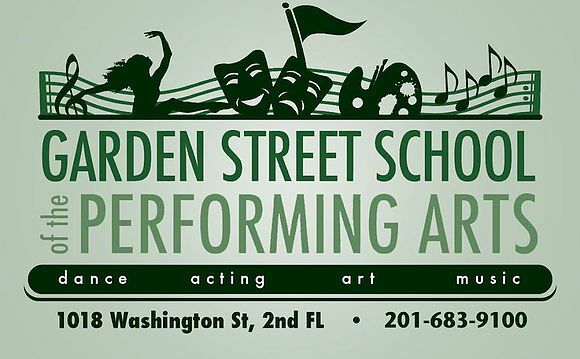 ** Special guest artist funding provided, in part, by a grant from the Middlesex County Board of Chosen Freeholders. Philly native,Vince is a U of Pennsylvania grad. He began music lessons at nine. Ector spent six years as a percussionist with the U.S. Army Band. 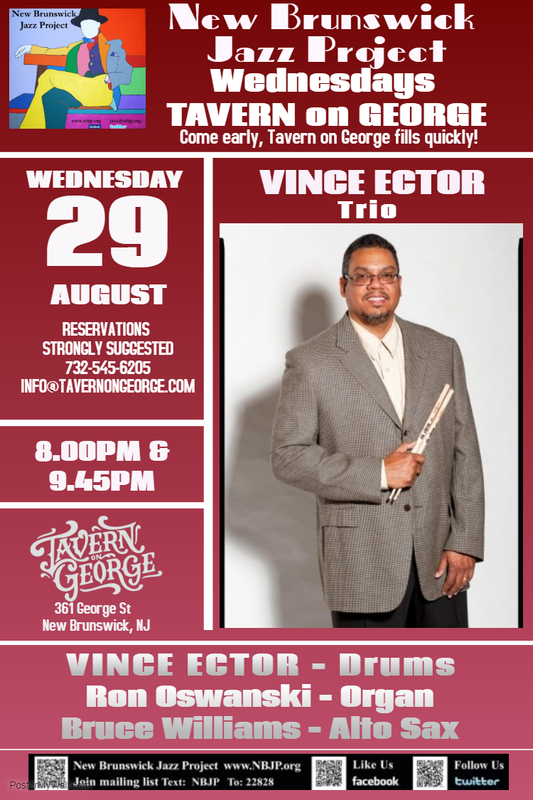 Vince has worked with jazz luminaries that include Freddie Hubbard, Randy Weston, James Moody, Slide Hampton and Jimmy Heath, Gloria Lynne, Lou Donaldson, Grover Washington Jr., Dr Lonnie Smith, Ron Carter, Claudio Roditi, John Lee and Shirley Scott. 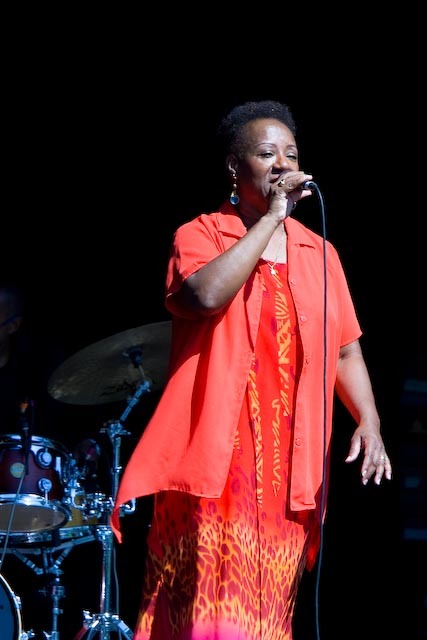 Ector's performances have received glowing reviews including "soulful," "ingenious," "electrifying," and "imaginative." 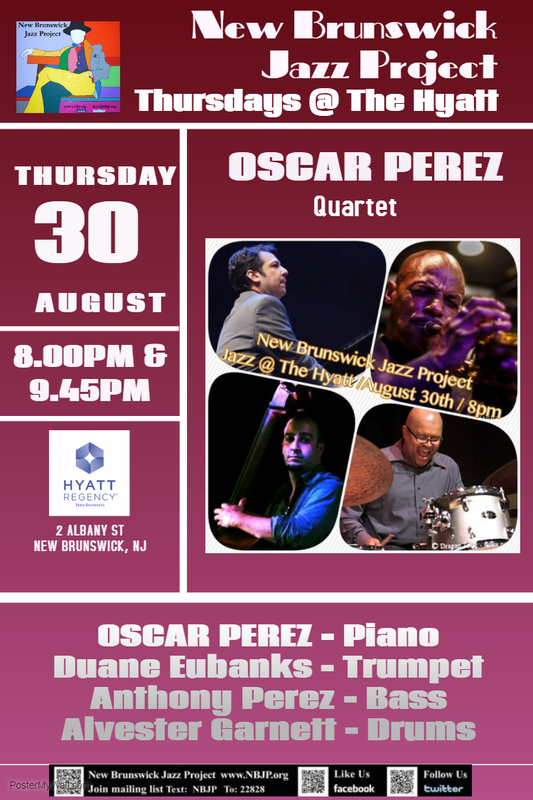 " Perez shows his ample skill ...incorporating the stylistic elements of Tyner, Hancock and Chucho Valdes. ...It's just a matter of time before his name enters the jazz public's consciousness." Based on the popular comic strip and adapted from the Tony Award-winning Best Musical, with a beloved book and score by Tony Award-winners, Thomas Meehan, Charles Strouse and Martin Charnin, Annie features everyone's favorite little redhead in her very first adventure. With plenty of parts to go around, including featured roles as well as ensemble parts for orphans, servants and tourists, Annie is ideal for productions involving different grade levels. 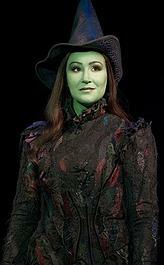 Anne has spent the past 8 years on and off playing Elphaba in the hit Broadway Musical, Wicked. Recently Anne starred as Donna in Mamma Mia at the Walnut Theatre. Anne has starred in the Broadway National Tours of Evita, The Scarlet Pimpernel, and Funny Girl. She is currently working on several new Broadway shows that are in development. She's thrilled to return to Garden Street to direct Annie! WHEN: Sept 29th; Rehearsals are on Mondays at 6pm starting Sept 10th. Join Our Award Winning Dance and Musical Theatre Competition Teams. Be forewarned: Mayhem reigns onstage at the F.M. Kirby Shakespeare Theatre in Madison. Romantic mayhem. Ridiculous mayhem. Spectral mayhem. Off-the-wall mayhem. In her STNJ directorial debut, company veteran Victoria Mack shows she’s as adept behind the scenes as she is onstage. The action hums from the moment the lights go up; the talented cast moves around the stage with elegance and style and delivers Coward’s arch dialogue crisply and naturally—with very credible English accents. The pace holds until the penultimate scenes where too much talking and explanation almost sabotage the momentum; however, that’s Coward’s fault, not Mack’s. The improbable action briskly unfolds in an English mansion’s elegant drawing room, complete with floral wallpaper and fireplace, designed by Charlie Calvert and atmospherically lit by Michael Gianitti (especially during the seance scenes). From the moment we walk into the theater, we are transported to the early 1940s, courtesy of sound designer Käri Berntson’s use of period music and Hugh Hanson’s elegant costumes. Oozing elegance from every pore, Brent Harris is wonderful as Charles Condomine, the polished, sophisticated novelist reduced to babbling hysteria when stalked by the ghost of Elvira, his dead wife. Upon his first encounter with the specter, his impeccable comedic timing with a drink brings down the house, and merriment ensues as his responses to Elvira are misconstrued by Ruth, his real and present wife! Harboring no illusions about her husband, Kate MacCluggage’s Ruth above, with Harris) appears crisp and confident at first, but the reappearance of her rival deliciously rattles her, especially since she cannot see or hear the other woman. Her feminine interest in the charms of her husband’s previous wife and their pre-dinner conversation about Elvira is probably the catalyst for the ghost’s return, and watching Ruth fall to pieces as Charles is succumbs to Elvira’s ghostly charm is quite funny. Susan Maris’s elusively fey Elvira (left) is both charming and wicked as she plots to reclaim Charles. Wearing a white gown and floating around the room, she projects the embodiment of a “blithe spirit,” not of this world and out to wreak havoc to get what she wants. Rounding out the main trio, Tina Stafford (right) is superbly dotty as Madame Arcati, the eccentric medium who surprises even herself with her power to conjure the spirits of the dearly departed. This tour de force role gives Stafford a chance to parade her physical comedy chops, complete with magic mumbo-jumbo, marching and stretching exercises, trances and shaking tables, and she does not disappoint. Her comic facial expressions and general dottiness elicits hilarity from the audience whenever she takes the stage. The role fits her like a glove! Even her raffish attire telescopes the character’s eccentricities. However, Stafford tends to speak very quickly and often faces stage right, meaning that audience members on the opposite side of the auditorium may have trouble hearing all her dialogue. As Dr. and Mrs. Bradman, Ames Adamson and Monette Magrath (left, with MacCluggage) have less to do. In a rather restrained performance, Adamson isn’t quite as acerbic as one would expect for a self-described skeptic, Magrath is appropriately ditsy, formally calling her hosts “Mrs. and Mr. Condomine” and shaking hands with all the guests. Her nervous giggle and awkward demeanor suggest that she is out of her social league. But Bethany Kay as the clumsy maid Edith nearly steals the show! From the opening scene when she appears to her final moments, she is a joy to watch. Saying not much more than “yess’m” and “yessir,” Kay relies solely on physical humor, especially the way she alternates between bustling around courting disaster and walking very slowly! Every time we hear a crash offstage, we prepare to laugh. Nöel Coward, master of the drawing room comedy, purportedly wrote Blithe Spirit in one week during the London Blitz, when England was engaged in a life-and-death struggle with Hitler’s war machine. In his version of the genre, Coward sets out to show, as he said, that “death in the abstract is not nearly so solemn and lachrymose as many people would have us believe.” As people in those dark years learned that “it was all too easy to believe someone young and gay and kind was dead,” London audiences probably felt gratitude for the lighthearted relief offered by this ghost story. With its scintillating dialogue, technical skill and showmanship. Coward carries off his trickery with a jaunty air, which is more than half the fun. It’s not without irony that we note the passing this week of Robin Leach, host of the popular 1980’s television show Lifestyles of the Rich and Famous. So, while Blithe Spirit might not give us much food for thought, we do get a chance to laugh at the foibles of the idle rich. The adjective “blithe” in its title suggests a “buoyant, cheery, gay, pleasant” way to spend an evening, which it is. Especially an evening in late summer! Blithe Spirit runs through September 2 at the F.M. Kirby Shakespeare Theatre on the campus of Drew University, 36 Madison Ave., Madison. For tickets and performance information, call the box office at (201) 408-5600 or visit www.ShakespeareNJ.org online.